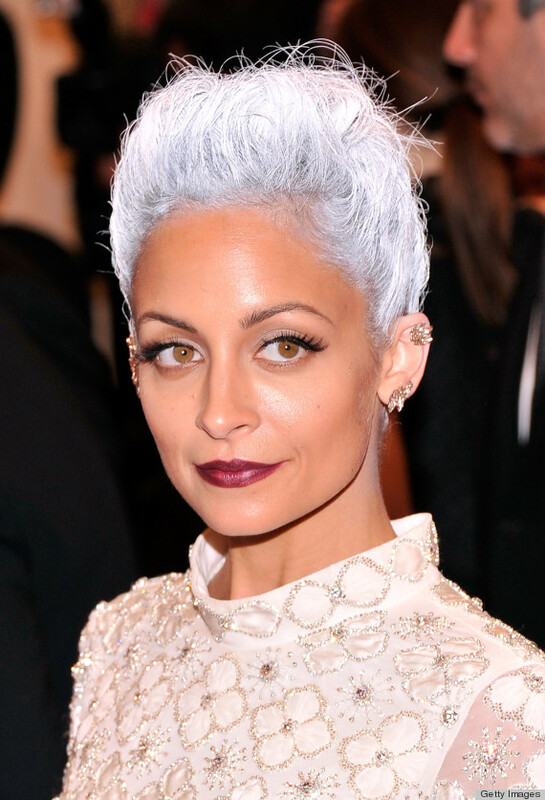 Nicole Richie embraced the punk rock theme at the annual met gala this year rocking an all grey short do. What do you think of Nicole's grey do? Nicole wore Topshop couture and she completed the look with a metallic House Of Harlow 1960 clutch.